A drug allergy is an allergic reaction to a medication. When the drug enters the body, it triggers a response by the immune system, which creates specific IgE antibodies (proteins made by the immune system to fight specific antigens). The body becomes sensitized, and when the drug is taken again, the IgE antibodies go into action, releasing large amounts of histamine that attempt to expel the drug from the body. Which drugs most often cause an allergic reaction? The most common cause of drug allergies is penicillin. Other antibiotics similar to penicillin also cause a large number of drug allergies. How are drug allergies diagnosed? Drug allergies are diagnosed by a careful review of the patient’s medical history and symptoms by a physician. If an allergy to an antibiotic such as penicillin is suspected, your doctor may do a skin test to confirm the allergy. However, skin testing does not work on all drugs and in some cases could be dangerous. Because of the potential risk associated with a reaction, if a patient has had a severe, life-threatening, allergic-type reaction to a particular drug, doctors will not consider that drug a viable treatment option, and will not usually conduct tests to determine if the initial reaction was a "true" allergic response. How are drug allergies treated? The primary concern when treating drug allergies is relieving the symptoms. Common symptoms such as rash, hives, and itching can often be controlled with antihistamines and occasionally corticosteroids. For coughing and lung congestion, adrenergic bronchodilators may be prescribed. For more serious, anaphylactic symptoms (life-threatening reactions, including difficulty breathing or loss of consciousness) epinephrine (adrenaline) is usually injected. Desensitization is occasionally used for penicillin allergy. This technique is designed to desensitize your body to particular allergy-causing agents. Penicillin is injected periodically at increasingly larger levels until your immune system learns to tolerate the drug. 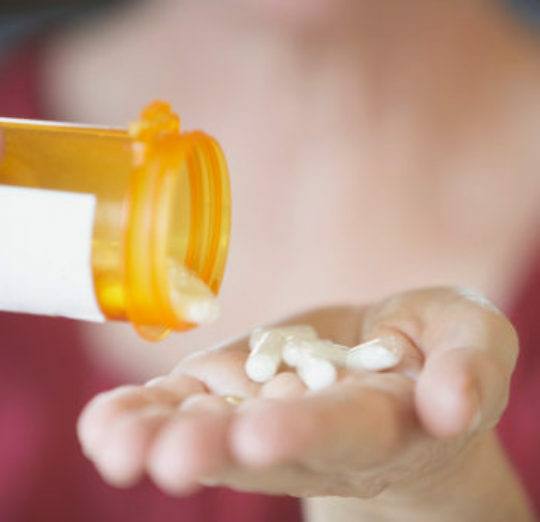 If a patient is severely allergic to certain antibiotics, alternative antibiotics will be used. If you have a drug allergy, you should always inform your health care provider before undergoing any type of treatment, including dental care. It is also a good idea to either wear jewelry (bracelet or necklace) or carry a card that identifies your drug allergy. In cases of emergency, this type of identification could save your life.